Posted December 23rd, 2011 by Karl & filed under MailBigFile News. It’s the end of the year and Christmas will very shortly be upon us. Are we not all terribly excited? Either way, as it’s also the end of the week, it’s time for our top 5 of the week. 1. Business Update – Select Your E-mail Preference. 2. 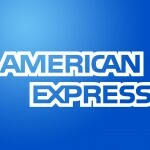 Service Update – Multi-Currency American Express Support. 3. Adobe Air Update – What’s To Come. 4. New Aspirations for the New Year. As per the recent update to grant Business Accounts prettier HTML emails with their company branding, we’ve also added an option to your Administration to turn this either on or off. We would imagine that the majority of you would prefer to have this switched on, however for some of you the HTML aspect of emails could cause some problems. As such, we’ve added the option so you can turn them off should they happen to cause issues for your account. Now when customers want to renew their account, should they want to use Canadian Dollars, Euro or Australian Dollars, they can now do so using their American Express card. We’ve enabled this option for both the Pro and the Business Account. File Scheduling: This will allow you to send files at a specific time, meaning you can move away from the PC if need be and the program will run the upload process automatically. Address Book Implementation: This will allow you to add specific recipients from your address book on a file by file basis. What this means is for the list of files you have currently selected, you can tell the program to send file ‘1’ to recipient ‘A’ and ‘B’, but file ‘2’ only to recipient ‘B”, for example. We’ll keep you updated on any further work that is being done right here on the blog. Come the end of next year, we want to advance MailBigFile so that it can provide you with as many features that you want as humanly possible. So, next month we’ll be asking you to participate in a little poll to cast your vote on what you would like us implement. By participating in the poll, you’ll be able to influence what we decide to undertake and could see the features that you want come into fruition much earlier than may otherwise be the case. As a final Christmas treat, here are 5 Golden Rings. These aren’t however those all powerful rings like those in The Lord of The Rings, unfortunately.